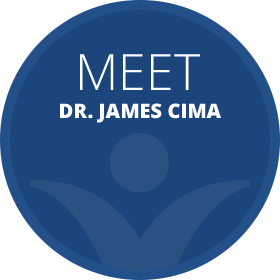 Dr. James Cima is passionate about providing natural chiropractic care. Customized care plans help you live your best life through optimum health. Our friendly team looks forward to meeting you. Through our natural and noninvasive approach to care, you can achieve incredible results without drugs or surgery. We are privileged to witness many success stories at the practice, including a patient who came in with a cane due to excruciating pain. After Dr. James performed an assessment and appropriate stretches, the man walked out carrying the cane without a limp. 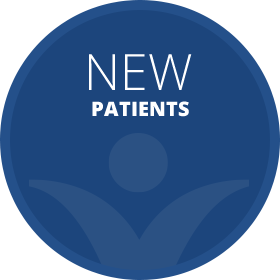 At our chiropractic care center, you’ll never feel like a number, and you won’t be rushed. Dr. James treats each patient as he would like to be treated. He will genuinely listen to your concerns, take notes and ask questions. He gets to know you as a person, not just the symptomatic you. In addition to helping you get out of pain, Dr. James will also take the time to define your health goals — whatever they may be — and then help you achieve them. At PGA Chiropractic Health Center, we enjoy caring for patients of all ages, from children to seniors. We encourage you to embrace chiropractic care as not only an excellent tool for pain relief but as an effective way to achieve your best health and life. You don’t have to put up with pain and less-than-optimal health. Start experiencing restored health and vitality by scheduling an appointment today with Chiropractor Palm Beach Gardens Dr. James! For your convenience, we offer same-day appointments and take walk-ins. I was impressed with my first visit. A big thank you to Dr. James who was kind enough to help my shoulder when it was “acting up”. Also, thank you to Pricilla who assisted in my care. The office staff was very pleasant and kind. Great environment. Great experience. I am very thankful for Dr. James. I’m excited to get started on my new healthcare path and feel that after talking with Dr. Cima that my health will improve very soon. I am so glad that a friend referred me to this office. I have suffered with TMJ for over 25 years. Dr. Cima is the only person that ever gave me relief. He’s the Best of the Best! Doctor and staff are nice. Dr. James was very thorough in determining everything that could be contributing to my issues. After just one visit I feel improvement in the areas which were causing me trouble. I am so impressed with everyone in the office. 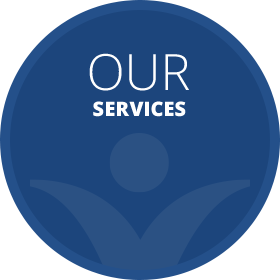 Very professional, caring, and thoroughly explains and takes the time with you. Had positive results even after the first visit. We love Dr. Natalie! I was so impressed with how she treated our son that I made an appointment with her & my husband did too! I was very impressed with all the office staff. They were friendly and professional. They took the time to listen to my symptoms. I did not feel rushed. I am much improved after my first visit. They seem very dedicated to want to help me. I made a couple phone calls to surrounding practices before making a final decision; and your staff by far was the friendliness & most helpful!! Any patient’s first impression is staff, and I had a great first impression! I was so impressed with the home care that I am willing to drive an extra 9 miles to follow up care. Dr. Cima was quick but very concise. Kim, the massage therapist, was amazing and hit on all the spots I said were painful. I immediately felt better and can’t wait for my next visit. Lovely staff. Walked in with shoulder pain, and walked out feeling so much better! Very friendly staff and Doctor Cima does listen and understands my issues. Holly, Dr. Hill and Kim were excellent. I arrived with a pain in my neck and all down my left due to sciatica. I know I need more done but I slept through the night for the first time in months. I feel in good hands. My wife Sabrina has been telling me to visit the practice for a few years. I should have listened earlier. Great experience. Dr. Dejesse was friendly and very helpful! Office staff was lovely as well! A very welcoming atmosphere. I would not hesitate to recommend. I felt better after my treatment. It was such a relief from the pain I was in. I’m so grateful. Strong confidence that my issues will be successfully addressed. Excellent analysis, adjustment, and PT!! What Dr. Natile did, worked. I got home and rested and was able to get up with no back pain. I can’t thank you enough. I have been telling everyone about this practice. Excellent experience! After one visit, my back felt better than it has in years!!! The staff was friendly and professional!! I was even seen earlier than scheduled. Thank you for everything!!! Dr. Hill was very helpful. I referred another friend to her. VERY intrigued by Dr. Cima’s laid back, calm attitude of confidence that he can help my condition. We shall see, but very noteworthy and very different than his peers! I had never been to a chiropractor before, and I had a fantastic first visit. The Dr. and staff were extremely knowledgeable, and I am already feeling better after one visit. Best experience ever with a professional office! Hats off to the staff! I even slept through the whole night which I hadn’t been doing. After speaking with Dr. Cima, I feel extremely hopeful for the first time since my ordeal. He is definitely a miracle worker. 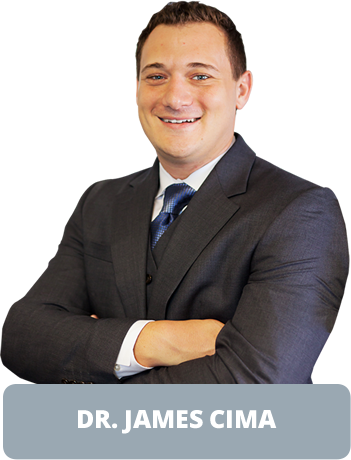 Dr. Cima is a true professional and passionate about his practice. Looking forward to a better enjoyment of walking and strength. I left my first appointment feeling confident that I was in great and trustworthy hands. Prior to my visit had I had been to 2 chiropractors without any improvement , my first visit to Dr., Cima I felt immediate relief! Great experience for my first visit. I am helpful that my back will be better for the long term. Great first experience with the entire staff at pga chiropractic. I would definitely recommend them! I was amazed at how wonderful I felt after my very FIRST visit! You guys are all great. Willing to go above and beyond to help a person out. Everyone on staff was very friendly, communicative and accommodating! Sweetest staff ever! Great and amazing doctor and very positive. Only on my second visit and am feeling better already! Exceptional customer service. I was a little nervous but Dr. Cima was very patient and knowledgeable. When I left I was a little sore but when I woke up the next day my pain was gone and I had full range of motion again. Thank you! Dr. Cima is amazing! I felt pain relief after the first visit. Thank you for making me feel better. Staff is friendly and knowledgeable in what is expected for the healing process. The best team! So thorough and take their time making sure you are well taken care of and treated! Thanks so much Dr. Cima and team!! 1st class office. Really helped me feel better!